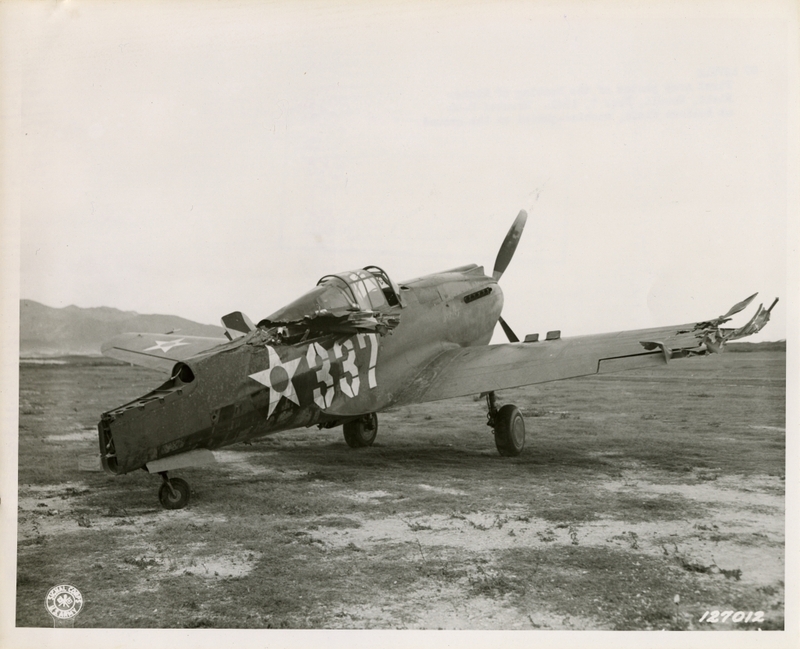 Wrecked P-40 at Bellows Field, machine-gunned on the ground. This photograph is part of a series of photographs from the U.S. Senate investigation of the Japanese attack on Pearl Harbor, 7 Dec. 1941. At Bowdoin, the photographs are catalogued under the Ralph Owen Brewster Manuscript Collection; Senator Brewster served on the investigative committee.